Stephen Strasburg is legit. Forget what my previous post says, he threw 7 innings, gave up 4 hits, a 2-run HR, and had 14 K’s with 0 walks. But either this game was scripted worse than “professional” wrestling or the MLB network can predict the future better than Miss Cleo. Let me set the stage for this one. The Nationals were down 2-1 in the bottom of the 6th. No one thought Strasburg would come back out to the mound for the next inning. Then with one on, Adam Dunn comes to the plate. 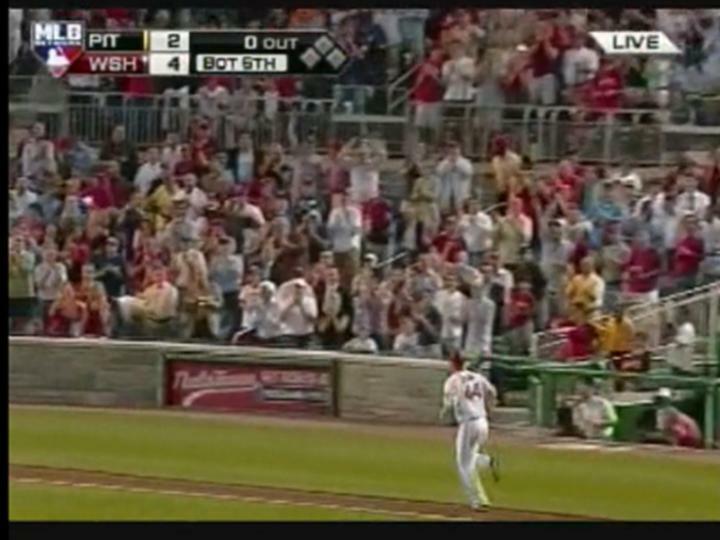 And he launches one (good for me in the Home Run Derby), but as Dunn (his jersey number is 44) rounds third, check out the MLB scoreboard in the upper left. And MLB network didn’t stop there, they updated the score to read 4-2. 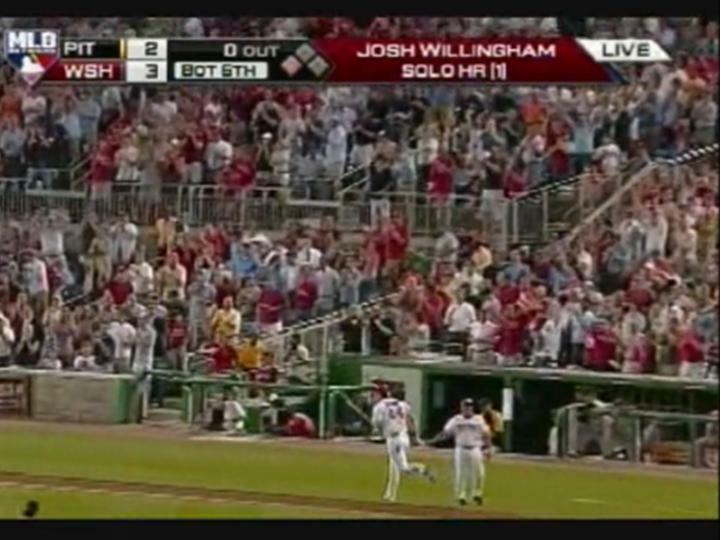 Guess who the next batter is… Josh Willingham. Guess what he did… he hit a solo HR. WHAT!!! I knew I didn’t like the MLB network for a reason. They ruin the ending worse than Spoiler TV. I wouldn’t be surprised if they put a hit on the scoreboard before Jason Donald got his hit in Galarraga’s perfecto blunder. This ranks right up there with the whole Santa Clause debacle. All this passion and time I put into this sport and I just found out that it the entire season is scripted. So MLB network just stop wasting my time already, please tell me who wins the world series this year. I’m sure you already know who wins the next 9 or 10. Oh, please fill out the rest of the year’s stats for every player too. I can pay the winner of the Home Run Derby a few months early. He gets a tough second opponent too. The great Cleveland Indians. Then he moves on to the anemic White Sox. Oh but then he faces the tough Orioles. Finally in his 5th start he will face a decent Braves offense. I totally expect him to be 4-0 with 40k’s by the time he sees the Braves. It was the Pirates. He was good but it was the Pirates.